Sonargdh fort founded in 1155 AD by the Bhati -rav Jaisal. Happened. Lime has been used in the construction of the fort. Due to this, the use of the yellow stone fortress Sonargdh called it Swarngiri 99 turret. Sonargdh fort in Rajasthan after Chittorgarh Fort is the largest living. Sonargdh fort (Jaisalmer Fort), the most prominent feature of these books is a rare treasure, which is called Jinbdra. In 2005, the World Heritage List has been included in the fortification. Oscar-winning “filmmaker Satyjitre” movie was filmed at the fort. Magazine fortress site falls in the category building was built by the Mughal emperor Akbar built the fort “Dultkhana Akbar” is known as the citadel of Muslim architecture is based on completely. Jaygd Cilh fortification remains on the hill called Tila. Construction of the fort built by Mirza Raja Jaygd Jayysinh. But the construction of palaces built by Sawai Jai Singh. It is located in the cannon flexible factory. The citadel built by Sawai Jai Singh Jaygd Jayban cannon standing on the hills is considered the biggest cannon. The fortification was built in 1734 by Sawai Jai Singh Nhargd released. Sudarshan Krishna temple within its existing fortification is Sudrshngdh former name. Rao Madho Singh II – the castle built for his beloved nine orchestrated Nahargarh Fort. The fort is located near the botanical garden. (1).The first Saka – year 1423 AD. Acldas drawn (son of communion) and the Sultan of Mandu Alpankha Gauri (Honshgshah) between Bishn War. After the victory of the load Shazate Jagni Khan were handed fortification. (2)Second Saka – year 1444 AD. Walhnsi drawn between war and Mahmud Khilji. Palhnsi drew killed by the Bilo (when he was able to flee to Dug) sent by Kumbha unhurried (Girjdev) led by saffron and Llnaon Jauhar. Kumbhalgarh fort surrounded by the Aravali thirteen peaks, Jrga hill (1148 m.), Built at the height of the tower is down range. Kumbhalgarh fortification built by Maharana Kumbha v. Samvat 1505 AD., Erected in memory of his wife Kumbldevi. The citadel is called the eye of Mewar. Kumbhalgarh fortification height of about Fazal Atril that “it remains so Bulndi turban head to view the falls from below.” Compared to the Colonel Taॅd the fort “Stukn” is from. Kumbhalgarh fortification around 36 kms Wall remains. Four breadth of the wall so that the rider can go in together. It the ‘Great Wall of India’ is called. Kumbhalgarh fortification Alias – Kumblmer Kumblmeru, and Mahor Kunbpur Mchced. Kumblgd fortress is also located within a small castle, which is called Ktargdh, which is the residence of Maharana Kumbha. Maharana Kumbha killing his eldest prince Uda (Udaykrn) not in the fort. 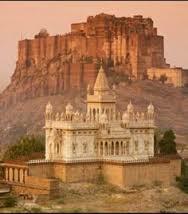 SAD Uday Singh and Veer Pratap’s coronation is Huaa born in Kumbhalgarh fort. Palladium fell range comes in earnest. Fortress Construction Vijaypal Singh Yadav had not earnest. Other names Sonitpur earnest fortification, Banpur, Sripur and is Sripth. Note: Due to its Durbedyta emperor fortress and citadel also known as Victory Temple. Siwana fortification both kernel and forest fortification category. Due to the overabundance of Kumt Kumt fort is also known as bush. Mr. Virnarayn Pwanr Siwana fortification built in the hills made fifty six. (1).The first Saka – year 1308 AD. Shitldev Chauhan while Alauddin Khilji invaders invasion occurred because of Sanka. (2).Second Saka – aided by stout heroic king Akbar Kalla Uday Singh Rathore due to invasion of the Saka. The Saka year 1565. Happened. Jalore Fort kernel comes in range. The fort is situated on the hill fortification Sone. Jalore Fort, the ancient name – and Knkacl Jabalipur fortification. Other names Suvarngiri Jalore Fort, Songadh.